In Washington, we often scoff at the concept that anybody might make a decision to spend time with their family. Well I have heard from people close to NASA CIO Jonathan Pettus, who tell me that he is actually notified his staff that he is stepping down to spend time with his family. 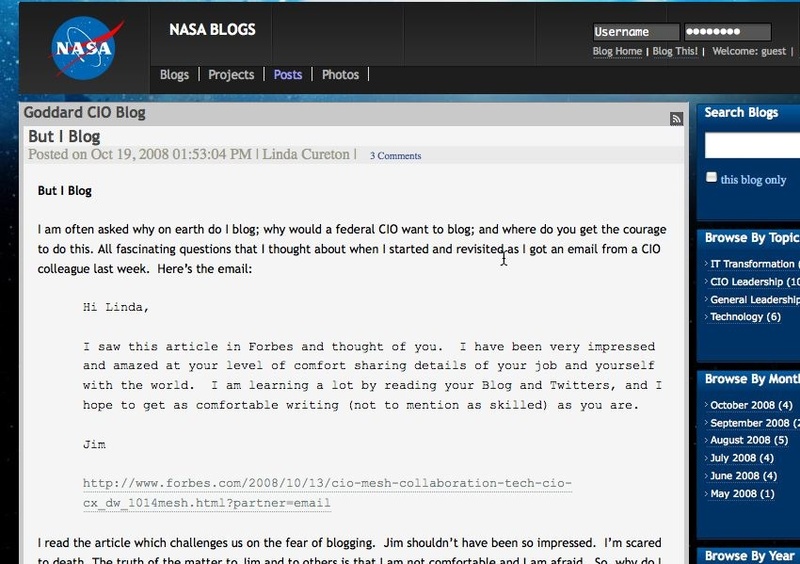 We have been hearing that NASA CIO Jonathan Pettus was stepping down [see here… and here]. In fact, Pettus is not leaving NASA. As he told his staff this week, he intends on returning to the Marshall Space Flight Center and step down as the NASA CIO, people close to Pettus tell me. As I told you earlier, NASA is actively seeking someone to fill the position. Pettus’s wife and two children have remained in Alabama for the past 2 years while he have served as CIO and it wasn’t possible to relocate for a number of personal reasons. There is no specific date for the change. Insiders tell me that Pettus is pleased that NASA has some momentum with the agency’s IT strategy with major IT initiatives underway to consolidate IT infrastructure, enable collaboration, and improve IT security. People close to Pettus tell me that it was a difficult decision — but that it has been one of those classic career vs. family conflicts and after two years of constant travel, he simply felt that he owned it to his family to be closer to home. I haven’t seen Pettus as often as some other CIOs — in part because of the travel, I’m sure. But whenever I have had dealings with him, he has always been frank and honest and he always impressed me. I can only imagine howdifficult a decision this would be. We’ve been tracking what’s up with NASA CIO Jonathan Pettus. We still don’t have any official word, but we continue to hear that Pettus will step down, but that he hasn’t yet. Apparently he has been re-established as a employee at NASA’s Marshall Space Flight Center. I’m hearing that he is going to be working from Marshall with occasional trips to Washington. While the position has been posted as a coming opening, a new CIO has not been identified as of yet. Again, no official word from NASA. The open period extends from 14-28 November 2008 – i.e. only two weeks. This seems to be a little odd: picking such a position in the midst of a presidential administration transition – with the Thanksgiving Day holiday in the middle of the open period. Continue reading NASA Watch’s post here. Is the NASA CIO stepping down? More Friday? There are all sorts of reports swirling around NASA that the agency’s CIO Jonathan Pettus may be stepping down — possibly to return to the Marshall Space Flight Center in Huntsville, Ala.
Pettus is from Alabama and commutes to Washington, so it wouldn’t be shocking if he determined that was tiresome. FCW profiled him earlier this year. There is a call scheduled at 10:30a ET Friday. Read Pettus’s full bio after the break. As regular readers know, I’m fascinated by government 2.0 because I think there are very real opportunities here. There is a confluence of factors — the push for change, the swath of young people who will join the federal government, and then the scores of easy-to-use tools that are available out there now — that are part of the tide that is pushing this to happen. Beyond that, these tools enable government to operate better — more efficiently. For as long as I have been covering government, people have been saying that they want to share information. And now they can — in very powerful ways. In fact, the government is uniquely suited to tap into the power of these tools because government, in particular, needs to share information across a variety of groups — internally and externally. So there are real opportunities here. That being said, it does involve change. And government is not particularly good at change. One of the Web 2.0 areas that has been somewhat controversial are blogs. Yes, there are a growing number of government blogs, and there have been some, such as TSA’s blog, that have been very successful in spurring change in ways that I — and I think TSA — didn’t really anticipate. There are a handful of CIOs who blog. Robert Carey, the CIO for the Department of the Navy, was the government’s first CIO blogger. Read his blog here. Another is Linda Cureton, CIO at NASA’s Goddard Space Flight Center. Read her blog here. Let me start off by saying that I believe that, if a blog is going to be successful, it needs to be representative of the blogger — or the organization. (I’ll re-post my tips for bloggers tomorrow.) And Cureton captures that is a really marvelous way. Get your ideas out there: One government blogger told me that this person’s blog is getting about 30,000 hits a month. That means you are reaching 30,000 people that you might not have reached before. Leadership: The author is immediately a leader. People are reading this blog for insight and analysis… to find out what they should know. There is a responsibility there — you have to add value. But it can be a place where you can get behind the scenes. Dip your toe into the Web 2.0 waters: There has been some criticism of government that they are moving too slowly on the government 2.0 stuff. I think most agencies are dipping their toes into the Web 2.0 water and seeing what works — it is exactly what they should be doing. This is a way to try it out and see what happens. The good folks over at NAPA’s Collaboration Project are quick to point out that you don’t want to do the ‘field of Web 2.0 dreams’ — if you build it, the problems will be solved — and I agree with them to a large extent. But I also think that you will never fully understand the power of collaboration if you don’t collaborate. For some people, that is a blog. For some people that isFacebook. (Why haven’t you ‘friended’ me on Facebook, by the way?) Try it out. I saw this article in Forbes and thought of you. I have been very impressed and amazed at your level of comfort sharing details of your job and yourself with the world. I am learning a lot by reading your Blog and Twitters, and I hope to get as comfortable writing (not to mention as skilled) as you are. Earlier, we told you about the changes at GITEC — slow changes, but changes, or so it seems. Many of those changes have been spurred by Linda Cureton , the CIO at NASA’s Goddard Space Flight Center and a GITEC board member. Soon after the post, we learn that Cureton has decided to leave the GITEC board. We’ve heard that there were other board members who were going to step down. One of GITEC’s value propositions is that it is one of the only organizations out there with a government only board. OK — I have to admit that when I first saw Linda Cureton, now the chief information officer at the NASA Goddard Space Flight Center, I wasn’t that impressed. This was years ago, but she is now the reason that I just don’t trust first impressions. In her case, my first impression was just completely wrong. Cureton is a force in the government CIO community. Will They Cheer For You? Today, I attended the Robert H. Goddard Memorial Awards Ceremony. It honors the Goddard Space Flight Center workforce for their dedication to many vital areas, including leadership, management, science, engineering, mission support, and customer service. The Management Award recognizes managers, supervisors, and organizational team leaders who, while providing day-to-day direction to work units, demonstrate through their management behavior, style, and approach, exceptional levels of achievement that creates a positive and productive work environment for their employees. GarciaBlount was recognized today for exemplary management and leadership qualities that make his Branch, Code 547, and Goddard, a technology leader in manufacturing support. When his name was called, six people, obviously from his team, let out a tremendous and loud cheer that pierced my heart and touched my soul today. There were six sitting next to each other. They had to have come together, early in fact, to get adjacent seats in the crowded auditorium. They all had cameras, screaming and cheering as they called his name. Their excitement touched me. The frantic clicks of their cameras matched the tempo of what must have been their pounding of their hearts. And I heard it. I didn’t know Garcia, but I thought he must be one heck of a leader….